Lightweights beware - NOT FOR THE FAINT HEARTED! 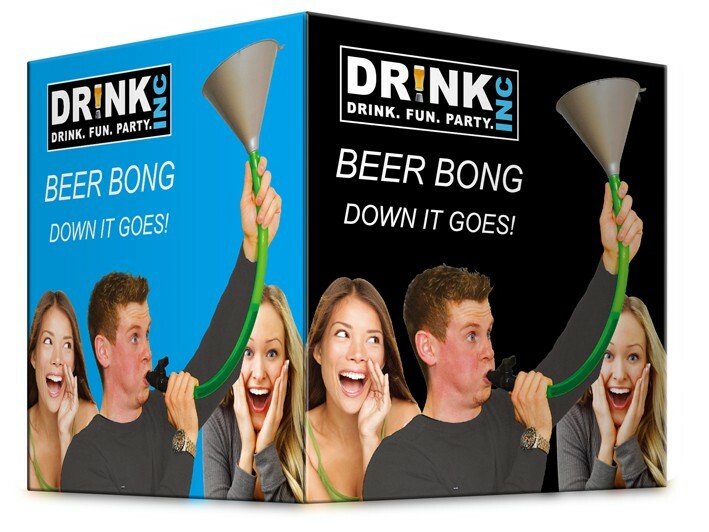 Do you have the stamina to cope with the ''''Down in One'''' Beer Bong? 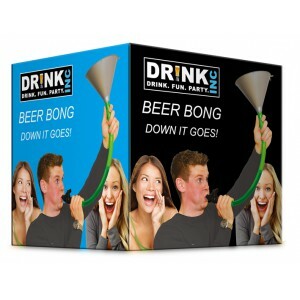 ''''Down in One'''' is a drinking game unlike any other. 2. Place the small hose in the bottle neck. Fix the bong over the top of the bottle, ensuring that there is no room for leakage. 3. Place your finger firmly over the small hole on the hose and lower the tube carefully into your mouth. 4. Raise the bottle and when you’re ready tilt it toward you...and be prepared for what’s about to happen! Now all that’s left to do is remain standing up. Good luck, Champ.